I love being a mom. There are so many perks that come along with being a parent. I mean really. We get the awesome fulfillment of molding a little human into an awesome adult, we get to experience the unconditional love of another person, a connection that can never be explained with words. All of that is amazing and a life long thing. There are also many other perks that are instant. These things are awesome. A few examples of the crazy amazing parenting perks, checking Halloween candy a.k.a., picking out the good stuff- that may be poisonous HAHAHA), setting up the electronics a.k.a. playing with them for 2 days first, and then witnessing the first trip on a Halo Rover. Yes, I laughed until I almost had an accident. I have been fortunate enough to work with HALO on a few promotions now and this one I believe has been my favorite. I'm not just sharing information with you, I get to review and evaluate the HALO Rover. The joy in this is more than I feel like I will be able to express in words. Abby and Cassie have had a blast since it arrived. How it went when we got it, Cassie was the brave one. She wanted on it as quick as her feet could balance, I was having to hold her back while I was reading the instructions. Meanwhile, Abby chanting next to me- Please let Cass go first, Please let Cass go first! Giggling the whole way. She was describing in detail the ways she thought she was going to wipe out. Well, I let Cassie go first astounded, no wipeout! She was pretty easy to get balanced. She put one foot on, it beeped, she put the other one on and I held her hands until she got used to standing on it. It was a slow go at first but she was riding through the house and spinning in circles in no time flat. This self-balancing scooter is so easy to operate too. The power button is on the back along with the charging port. If it needs to be reset, just push and hold the power button. It's so easy. There is no code or calibration process. It does it all by itself. What I think is awesome, the max weight is 264 lbs. All of us can ride on it. The smart balance board even offers Bluetooth. It's so easy to track. The Halo Rover Mobile App makes it so easy to do some really cool stuff. Playing music back while you ride is really awesome. Requires Android 4.3 and up. This is just so cool!! I love the safety factor. This has been tested top to bottom and I am so happy with the worry safe guarantee. I don't have to worry about battery or body damage. 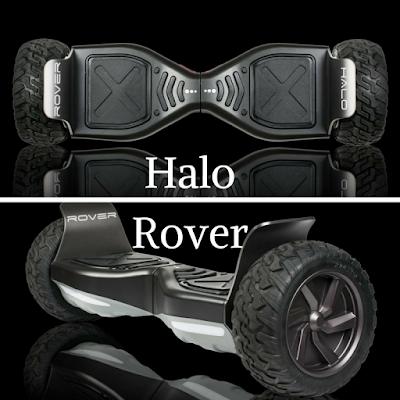 Okay, so that's some fun stuff about the hover board. From a mom's point of view do you want to hear some very amazing stuff? Oh yes, I have found the one thing that BOTH, Yes, BOTH of my girls love this so much, I have scammed a few chores. Not just that, togetherness without fighting, arguing, or blaming. I went to their room awhile ago and said "hey guys, I'm trying to get caught up on some of my stuff, can you guys wash up the dishes and wipe off the counters? If you can get it all done in 15 minutes, I will let you ride the hoverboard. They rushed me out of the way and Cass washed dishes while Abby cleared the counters, they worked together and had it done in 10 minutes. I was amazed!! I think for the next month at least I am going to hold this thing hostage and use it as needed. Do you know what I accomplished in the little while I let them ride it? They are playing together, taking turns, laughing- A Lot!, and making plans. These girls are so into technology that if eating, bathing and personal hygiene weren't an issue, I don't think they would move. 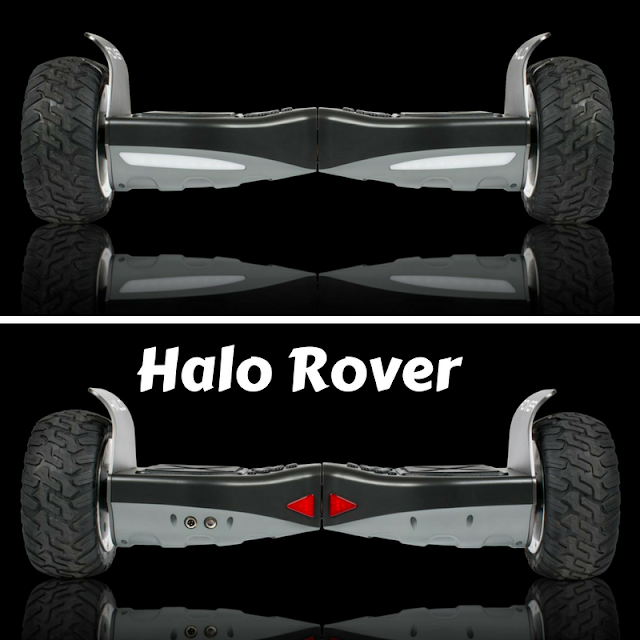 That being said, in the past few days, they would rather use the Halo Rover. They have made up dances, chased each other, and are now asking to go to the park. WHAT? My Kids? Communicate without death threats? Go outside in the sunlight without bribery? This is really awesome. With the All-terrain capabilities and water resistance, it doesn't matter where they take this thing, they can go! My biggest worry was them getting hurt on something like this. The smart balance wheel keeps the on without them losing balance and falling off. This is really a great gift idea. There is a special promotion going on for our awesome readers (and your friends if you want to share) $25 off until December 31st, 2016. Use code "AARLREVIEWS". Thank you HALO for being so awesome! !